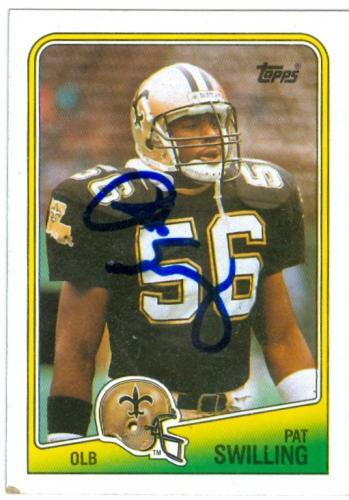 Though I grew up in Green Bay Packer territory, grew up watching the likes of Lynn Dickey, Don Majkowski and early Brett Farve…to this day, there’s only been one authentic football jersey I’ve ever owned and it was the New Orleans Saints, Pat Swilling #56. So here’s to the first game of the season on a triumphant campaign…oh, and in my current living situation, I find myself almost entirely surrounded by Packer fans so please, I really want to make them pay for the next several weeks. Hell yeah, the New Orleans Saints! Have a nice day everybody and enjoy the game!